Disconnected resources are targets for which there is no connector. Therefore, the provisioning fulfillment for disconnected resources is not automated, but manual. 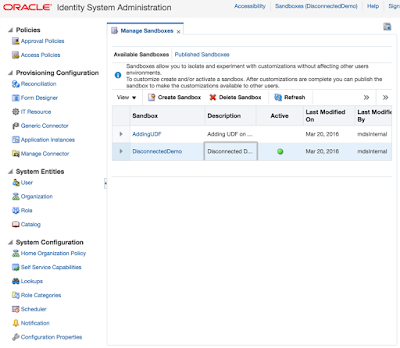 In earlier releases of Oracle Identity Manager, disconnected provisioning is not supported as a first class use case, it is supported by using manual tasks in the provisioning process. This approach has a number of limitations, which are taken care in Disconnected Resources model. From the Actions menu, select Create. Alternatively, click Create on the toolbar. 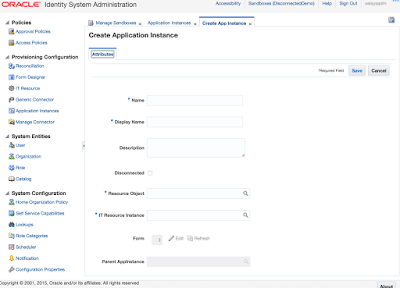 The Create Application Instance page is displayed. 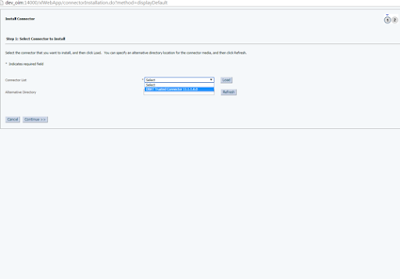 Click Save, and then click OK on the information dialog box. 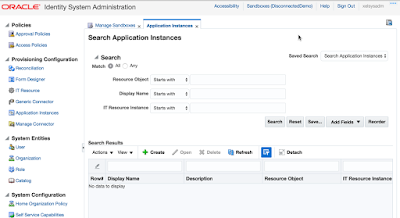 The application instance is created, and the details of the application instance is displayed. 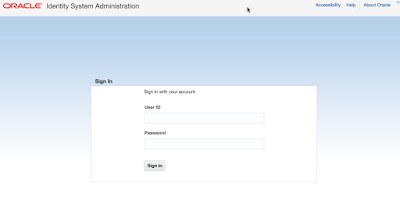 The UI form for the disconnected resource is automatically created and set, click Apply. Certain companies have some database-driven custom applications. 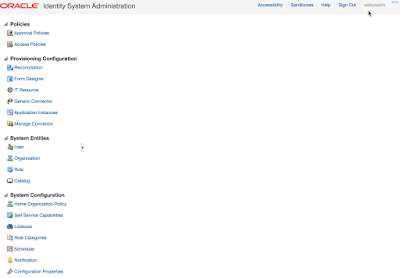 These applications do not have any APIs for identity administration. 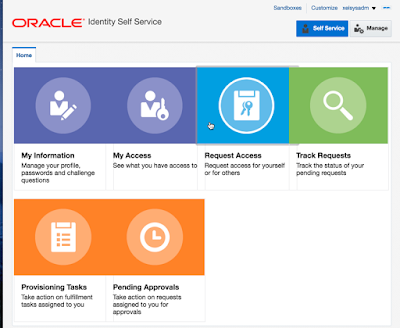 These companies want to manage the life cycle of users in these custom applications by using a centralized identity management system such as OIM. The DBAT connector is one of the solutions to this business problem. 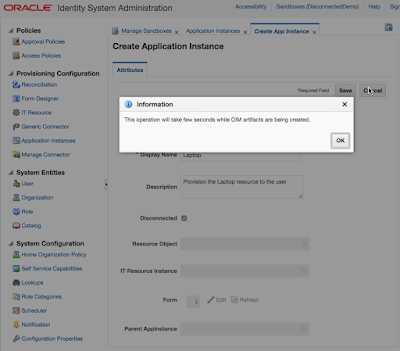 Companies can use this connector to enable the exchange of user data between the database and Oracle Identity Manager. The DBAT connector is shipped with a groovy file named DBATConfiguration.groovy. This file is located in the dbat-11.1.1.6.0/generator/dbat-generator-11.1.1.6.0 directory of the connector installation ZIP. 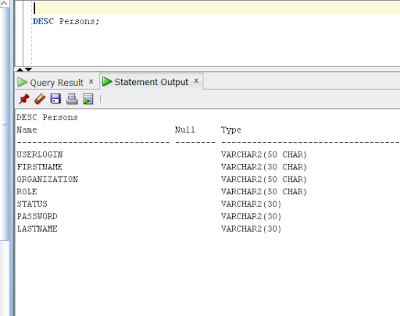 You use the DBATConfiguration.groovy file to specify values for properties that can store basic information about your target system schema. 4. In a text editor, open the DBATConfiguration.groovy file located in the dbat-generator-11.1.1.6.0/resources directory. a. trusted - for configuring your target system as a trusted source. b. target - for configuring your target system as a target resource. 1. 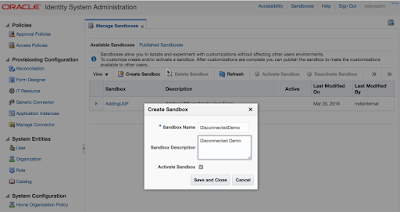 After configuring the DBATConfiguration.groovy file, you must run the DBAT Generator to discover the schema and generate the connector package. 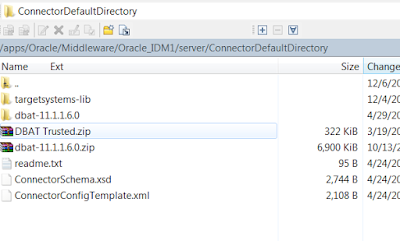 · CONFIG_FILE with the absolute or relative path name of the DBATConfiguration.groovy file. · CONFIG_NAME with the name of the configuration within the DBATConfiguration.groovy file, being used for the target system. The predefined configurations within this file are trusted and target. You can create additional custom configurations with different names depending on your requirements. In this command, "target" denotes the name of the section in the DBATConfiguration.groovy file for which values have been specified. In other words, the connector is being configured as a target resource. Here is output that generate the Connector based on information in Groovy File. 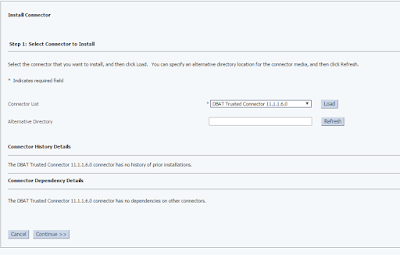 The connector package is a ZIP file that is generated in the /dbat-generator-RELEASE_NUMBER directory. 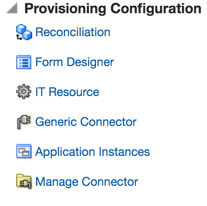 · CONNECTOR_PACKAGE is replaced with the name of the IT resource definition specified as the value of the itResourceDefName entry in the DBATConfiguration.groovy file. · IT_RES_DEF is replace with the name of the IT resource definition specified as the value of the itResourceDefName entry in the DBATConfiguration.groovy file. · The length of a field (column) from the target system is not fetched into the process form. Therefore, except for the Unique ID and Password fields, the length of all other data fields (of the String data type) on the process form is always set to 255 characters. The length of the Unique ID and Password fields is set to 40 characters. 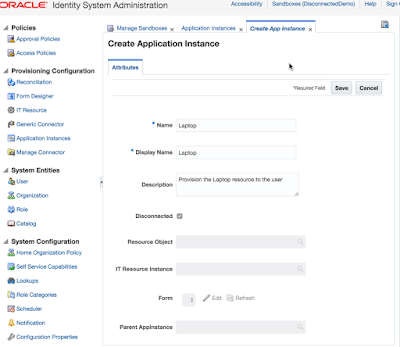 · All columns in a database table that are not null are displayed as mandatory process form fields in Oracle Identity Manager. 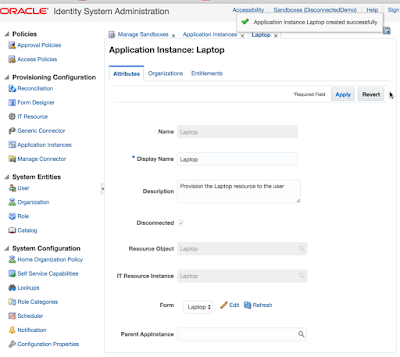 Log in to Oracle Identity System Administration. 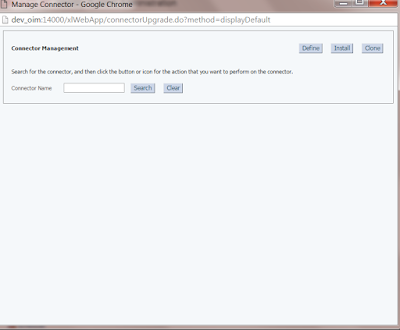 In the left pane, under Configuration, click IT Resource. 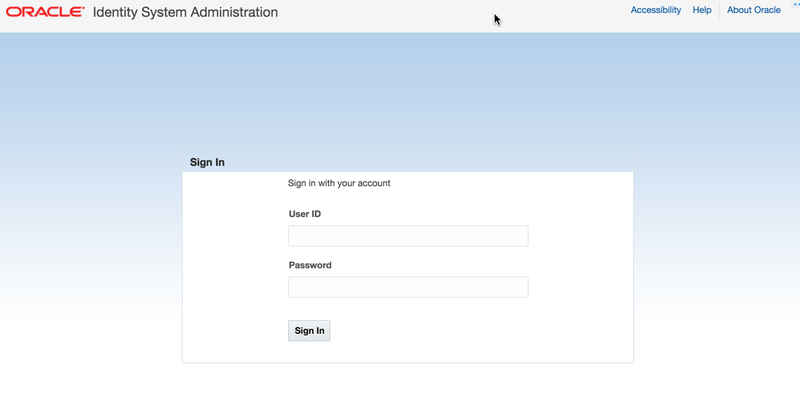 In the IT Resource Name field on the Manage IT Resource page, enter the name of the IT resource, and then click Search. 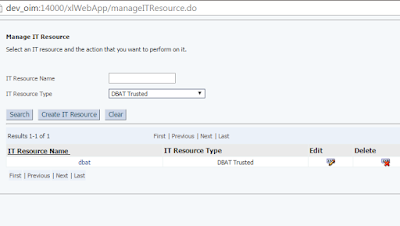 The name of the IT resource is the value of the itResourceName property in the DBATConfiguration.groovy file. Click the edit icon for the IT resource. 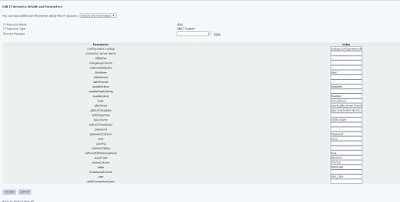 From the list at the top of the page, select Details and Parameters.